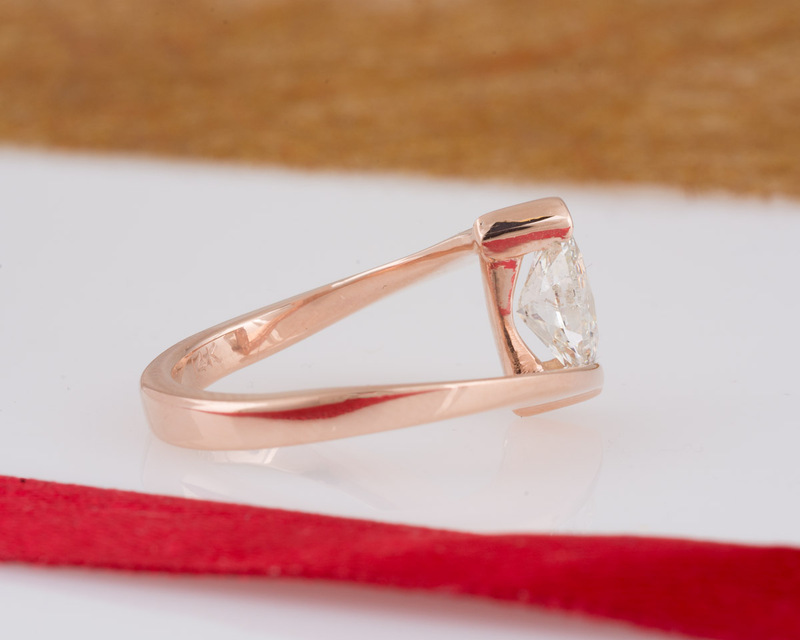 A sleek solitaire engagement ring in rose gold, with an offset shank design. 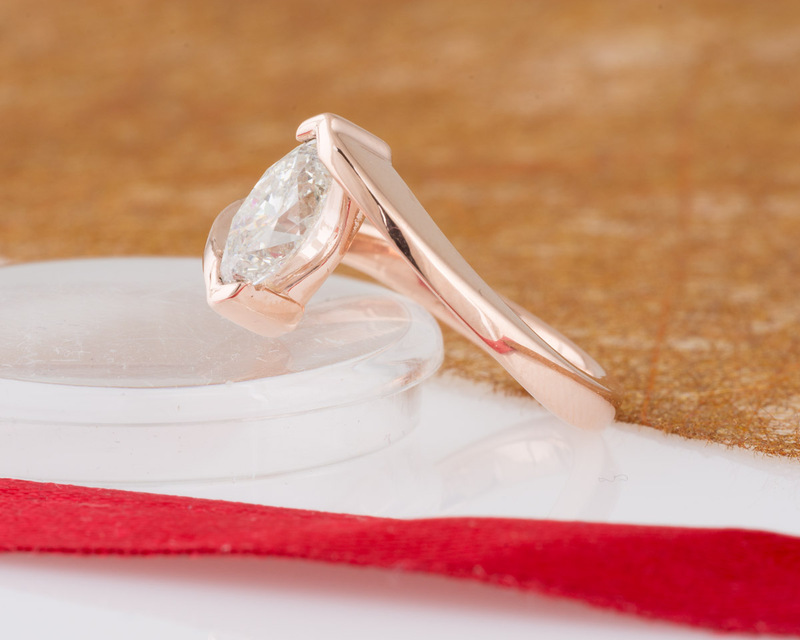 One side of the shank sweeps toward each tip of the marquise diamond, securing the stone while giving an allusion of suspension. 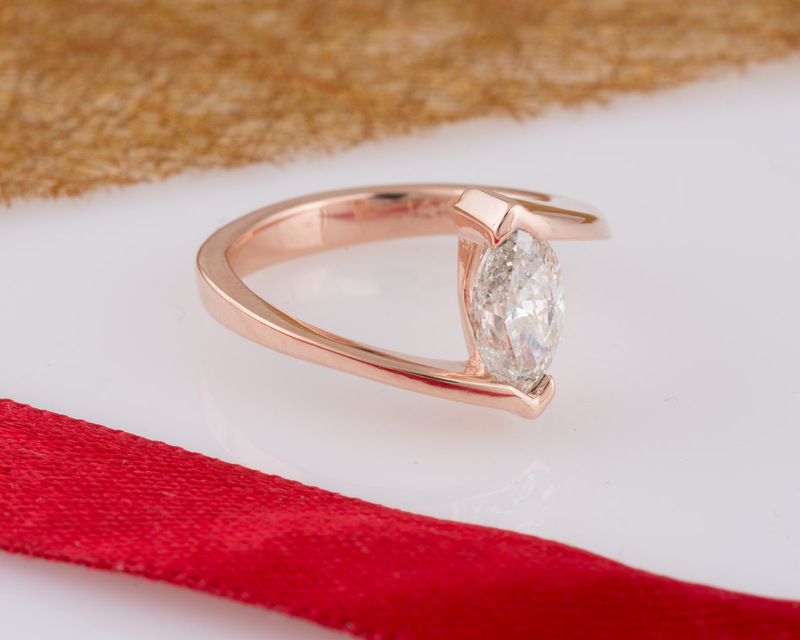 A simple design, with an original flare.